The Multi Window feature in Samsung S9 makes multitasking simple and easy. With it, you don’t need to constantly switch between two apps as this allows you to run two programs at the same time in a split screen view. However, it cannot be denied that the elements in content like fonts, graphics, and objects look smaller because of the divided space. 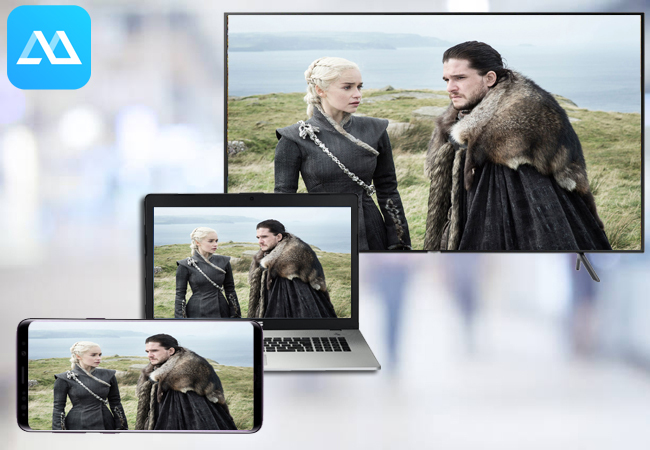 Luckily, screen mirroring software enables you to view mobile content on a larger screen. The idea of mirroring Galaxy S9 to PC is fine, but it’s way different on TV. So, if you need to mirror Samsung S9 to Samsung TV, here are some of the best ways to do this. 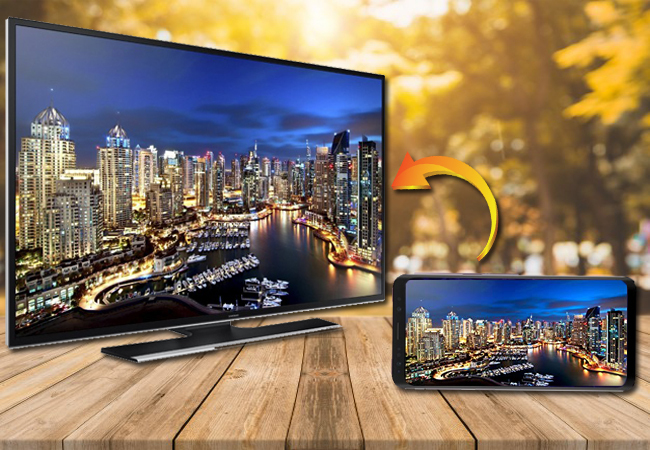 You can extend your mobile screen to Samsung TV using Smart View. It allows you to cast Samsung devices to your TV with ease. With this app installed, you will be able to listen to music, view photos, and stream locally stored and online media content. In other words, you no longer need to settle for a small smartphone screen just to stream games or media. Also, it allows you to enjoy games installed on your Samsung S9. However, the app only streams content from the selected and compatible apps. But despite this fact, it’s a helpful program and it works exactly to what is expected. Meanwhile, to know how to mirror Samsung S9 to Samsung TV, simply follow the steps below. First, be sure to connect both your Samsung TV and Samsung S9 to the same network. Install Samsung Smart View from the Google Play Store on your phone then launch it. Enable detection by tapping on “Connect to TV”. Once your TV name appears on the list, tap it and select “Allow”. By then, you will be able to select and play the media you want to stream on your TV. 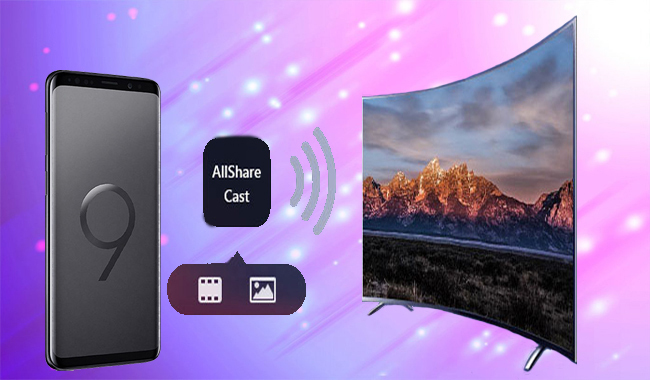 You may also use AllShare Cast to project your mobile screen onto television. This lets you enjoy your videos, music, photos, not only on TV but also on other devices. This includes smartphone, smart TV, laptop, and tablet. Moreover, it supports screencasting for smart TVs such as Samsung, LG, and Panasonic through the help of adaptors. This means you can use any smart TV as long as the TV supports display dongles. On top of that, media like photos, videos, and other visual content are even clearer when connected through dongles. 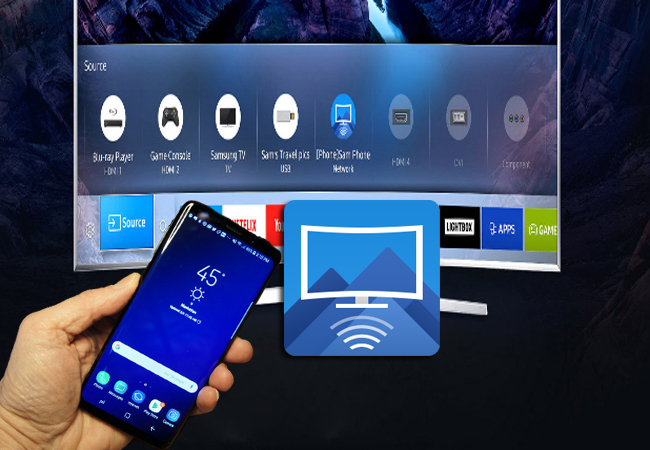 To easily connect Samsung S9 to Samsung TV, check out the step-by-step procedure below. Start by connecting the necessary accessories such as AllShare Cast Dongle and HDMI cable. After setting up the accessories, connect your TV and phone under the same wireless network. Now, select the input port being used by the HDMI cable on your TV and the indicator should begin to blink red. After that, press “Reset” and indicator should appear blue. Then from the list of devices, select AllShare Cast Wireless Hub and enter the pin. With the All Share Cast installed on your phone, click on “Start”, and you will be able to stream your media content from your mobile device to Samsung TV successfully. Screen mirroring Samsung S9 to Samsung TV is also easy using ApowerMirror. This is a powerful tool loaded with a lot of useful functions to help you with your presentation. With the help of this app, you’re getting much more than just a television as it offers wireless access to your favorite movies, music, photos stored on your Samsung phone. Furthermore, if you are thinking of demonstrating an app presentation, you can use its pen tool to annotate on the mirrored screen and make an interactive whiteboard screen. Yet to connect your Samsung phone to your TV, you may need to use a laptop to do so. Now to get started, you may refer to the guidelines below. Connect one of the ends of the HDMI cable to your TV. Match the port on your Samsung TV by selecting the input port being used by the HDMI cable. Now connect the other end of HMDI to your PC. Next, install ApowerMirror on your PC and launch it. You also need to install its mobile version. Make sure your phone and PC are connected to the same WiFi network. With the app installed on your phone, tap the blue “M” button at the bottom of the interface. Select your PC name and then choose “Phone Screen Mirroring”. Afterwards, your phone screen will be mirrored to PC and to your TV at the same time. You are now ready to deliver a presentation or play a media as you wish. Tips: You may also connect your Samsung phone to PC via USB cable. This will give you the privilege to control your phone from the comfort of your computer. You can use your mouse to navigate your phone or use the keyboard to type and compose a message. After learning about the practical tools, you are now able to mirror Samsung S9 to Samsung TV with ease. Meanwhile, if you are looking for a direct way to do this, you can choose between Smart View and AllShare Cast. However, there are some instances that you can only stream media from the supported apps. Yet with ApowerMirror, it mirrors the entire screen of your phone and projects your phone activity in real-time. All in all, if your purpose is to just play media, the aforementioned tools are great options. Yet if you want to do multitask and see the activity of your Samsung S9 as is on your TV, then choose the latter one.